Nameslink is the answer to that constant question – where can I find a card that’s fun, special and different. 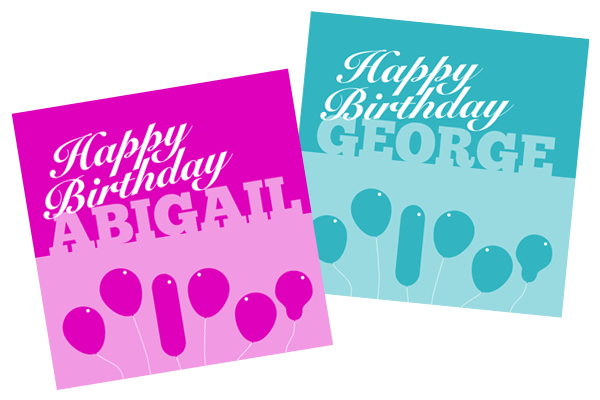 First we put their name on your card – birthdays, new babies, weddings. 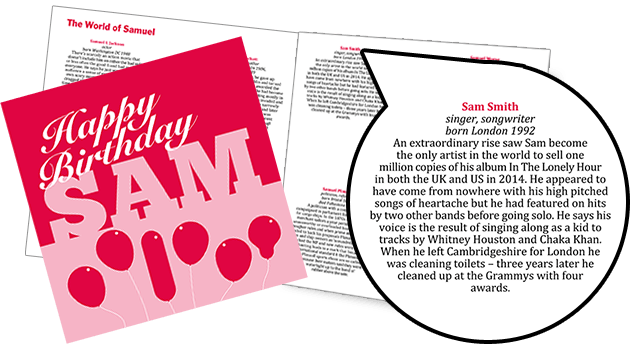 Then the card opens to a gallery of brief lives of famous or simply fascinating people with the same name. Turn to the back and there’s the meaning and origin of their name plus a few other facts we think will be interesting. It’s an intriguing package and terrific value at just £3.50. Wedding cards are a bit different. 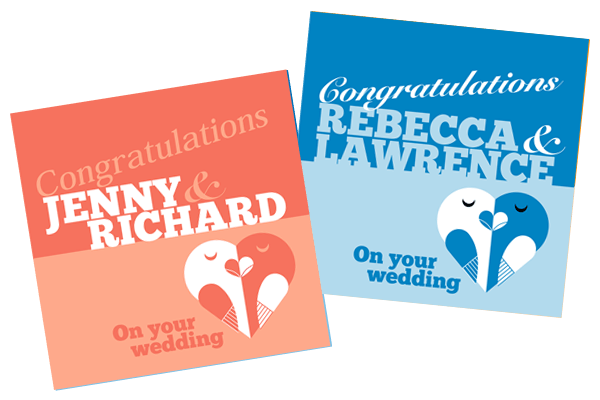 You tell us the two names and we design the card with the lovebirds motif. Inside, we’ve selected some wise and witty quotations about love and marriage while on the back there’s a handy reminder of those anniversary gifts, all the way to diamonds after 60 years! These specially created cards cost £7.50. Check out who’s in the card with your name. If you think we’ve missed someone then email your suggestion. 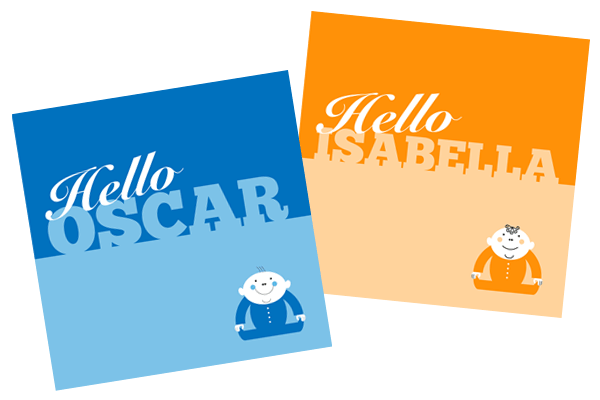 Next time you send a card – make it personal! The cards arrived in good time and are just perfect. Thank you. £1 covers any number of cards sent to the same address. Sent first class in a protective package with a plain envelope. OR sent direct to recipient with your personal message.